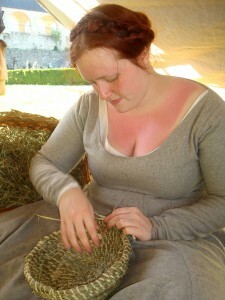 Basket weaving is one of the oldest crafts of human history. As long as 10 000 years BC, baskets can be proven upon findings. The technique is fairly simple, vertical stakes are being bound with horizontally wound plant materials and then dried which creates a fairly durable structure, able to withstand high loads and at the same time is light which makes it the perfect transport-container. 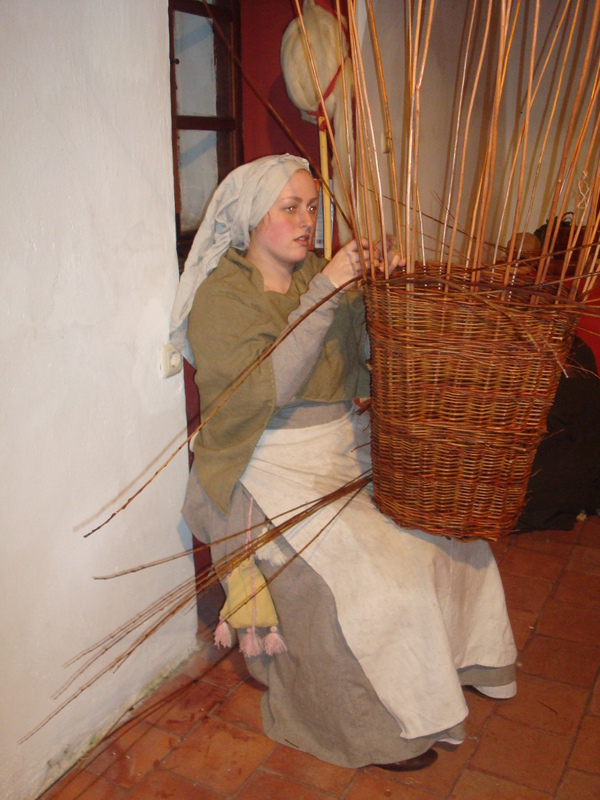 The material is mostly willow branches since these are fairly straight grown and very flexible. The branches are harvested in winter, then dried and soaked in water for a few days before the use. For smaller baskets, reed, straw and grasses are attractive as well. 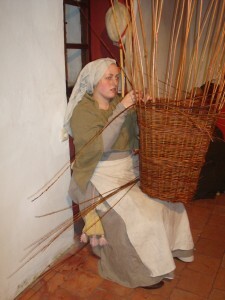 Evidence for the use of baskets can easily be found in original paintings from the time. Panniers, fish traps, storing tanks, baskets for baking bread, baskets with handles for everyday use and hats are only some of the products which can be woven or braided from natural materials. Unfortunately, finds are very rare due to the material rotting easily and being excellent fire-material.